Welcome to our store website! 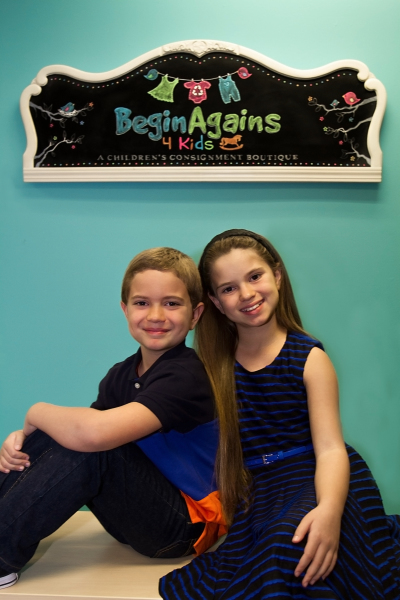 BeginAgains 4 Kids is the East Bay's preferred children’s consignment boutique located in Brentwood, CA. Our Store is a place where families will find great deals on quality new and like-new clothing, furniture, baby gear, toys and maternity wear. We have a fantastic selection with new items coming into the store every day. Please check out our Facebook and Instagram pages to see some of the items currently for sale in the store! Our Specials & Events page will have the latest news and information about what is happening at our store. If you are interested in consigning with us, please check our FAQ's page and our Consignor Information Sheet. Appointments are required to consign items. At your first appointment you will need to sign our Consignment Agreement. We are committed to providing safe, quality products and a warm and welcoming place to shop for you and your children. We will not accept or sell recalled items. We are your local Girl Scout authorized retail store!